Moving to the United States is a challenging process. In addition to crossing borders and potential language barriers, new immigrants must consult with many government offices in order to acquire visas and green cards-both of which come with tons of forms and paperwork. While there is no way to remove all of the hurdles of immigration, the following resources may make the process a bit easier to navigate. The first step to legally entering the United States is obtaining an immigrant visa. The most common way to get an immigrant visa is through an employer or family member already living in the United States. In order to acquire an immigrant visa, you will need to file a petition for the visa and do an interview, in addition to paperwork and fees. Family-based petitions are filed by a U.S. citizen on behalf of a spouse, child, parent, or sibling. For a work-based visa, the employer must file the petition on behalf of the employee. Visa applications may be limited by the government each year. Working with a skilled lawyer may help make the process easier to navigate. A Green Card, which grants permanent resident status, allows immigrants to live and work in the United States indefinitely. While an Immigrant Visa has a limited length of stay, a Green Card gives permanent status. Like an Immigrant Visa, obtaining a Green Card is not a simple process. Most commonly, Green Cards are received through a family relationship, employer, or refugee or asylum status. While Green Cards grant permanent residency, they do not come with the full right of citizenship. Green Card holders are protected by United States law, but they cannot vote, cannot take some jobs reserved for citizens, and have special rules for travel. The final step in an immigrant's journey to the United States is to attain full citizenship. Gaining citizenship requires an immigrant to hold a green card for five years before filing the Application for Naturalization. The general requirements to become a citizen are to reside in the United States for at least five continuous years with a green card, live in the same place for at least three months prior to applying, live in the same place throughout the entire application process, and be able to read, write, and speak English, and pass a test on United States history and government. Once someone obtains citizenship, he or she is allowed to live and work anywhere in the United States. Citizens may apply for and hold any job, with the exception of President and Vice President of the United States (which under the U.S. Constitution is reserved for people born in the United States). Citizens can start and own a business, hold a United States passport, and vote in elections. U.S. Citizenship Test – Could You Pass? 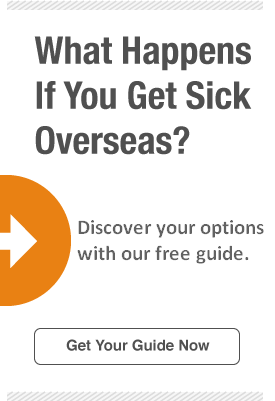 Many countries outside the United States provide free healthcare to their citizens. In the United States, health insurance is a responsibility of individuals, and living without health care coverage can lead to a tax penalty. One of the first things a new resident should take care of is getting health insurance. A great short-term option to keep you insured while you're settling into your new life is short-term medical insurance. While this type of temporary insurance plan does not exempt holders from the tax penalty (unless you hold it for no more than 2 consecutive months and/or qualify for an exemption), it is perfect for your first month or two living in the United States. In the event of a serious illness or injury, medical bills can easily cost thousands of dollars. Going without insurance is a serious risk for your health and finances. Take the right first step by signing up for quality short-term medical insurance while you get adjusted to your new life in the United States of America.